Not Sure Which Beds is Right For You? AllegroMedical.com delivers access to the widest array of premium hospital bed accessories, medical bed supplies & equipment imaginable. From adjustable beds and hospital beds, to mattresses, bedpads, pillows, pressure reduction gear, wedges and positioners, to mattress overlays, bed rails and more. 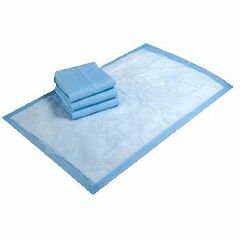 In fact, the assortment of hospital bed accessories includes such medical bed supplies as overbed tables, trapeze tools, and bedside drainage bags as well as high quality mattress accessoriessuch as mattress covers and adjustable bed mattresses. You can always turn to AllegroMedical.com with the the highest quality hospital bed and medical bed supplies, as well as any key accessories at the lowest prices guaranteed. See our Best Price Guarantee for more details. Want Special Discounts & Coupons on Beds and More?